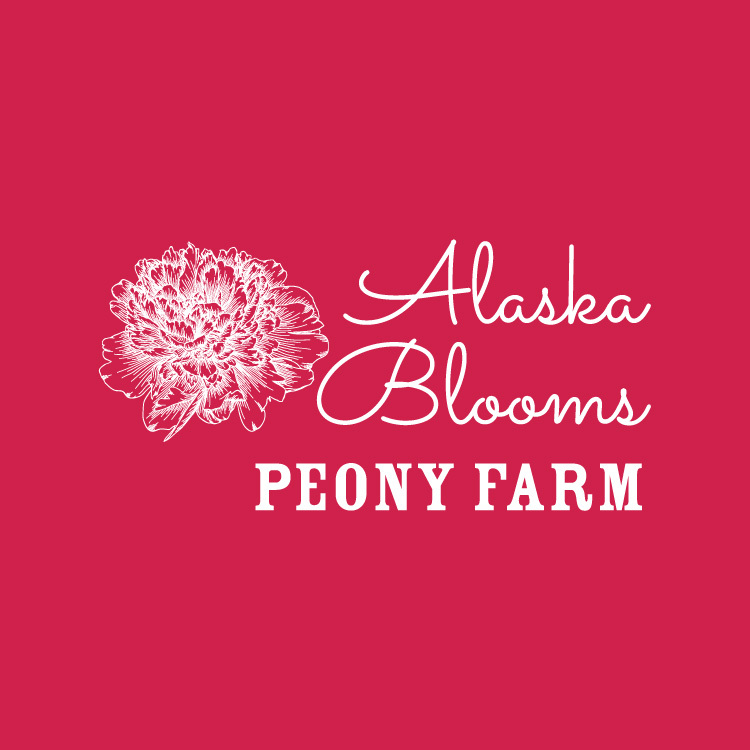 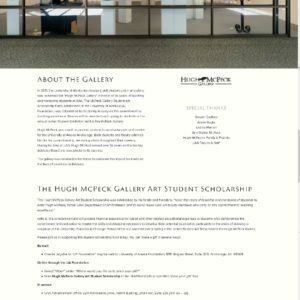 Ann McPeck Gabler commissioned a site to support the sale of her late husband and sculptor Hugh McPeck’s work, to benefit the University of Alaska Anchorage Hugh McPeck Gallery Art Student Scholarship. 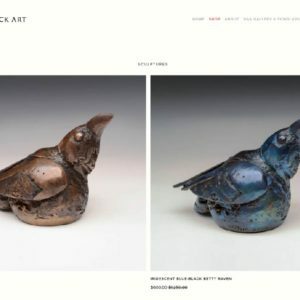 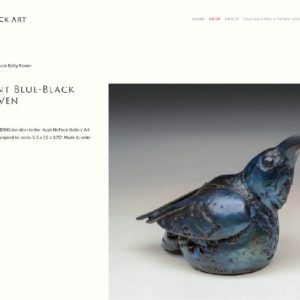 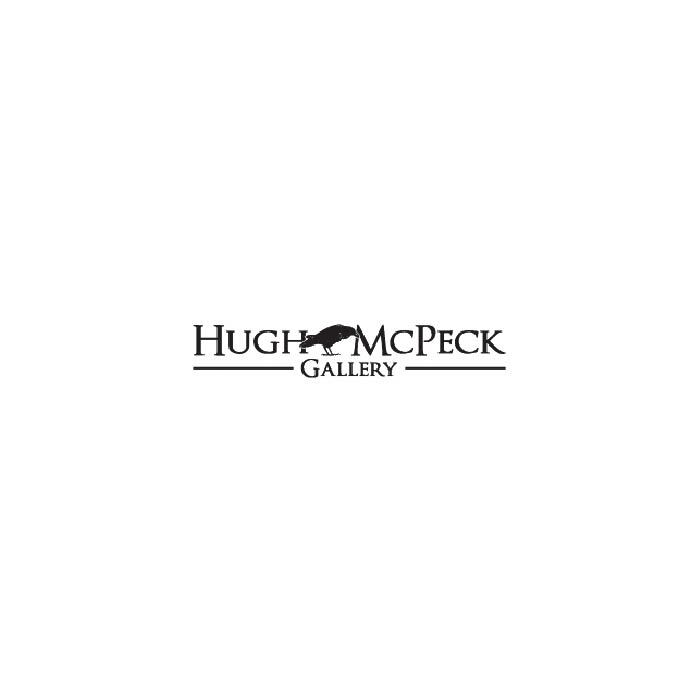 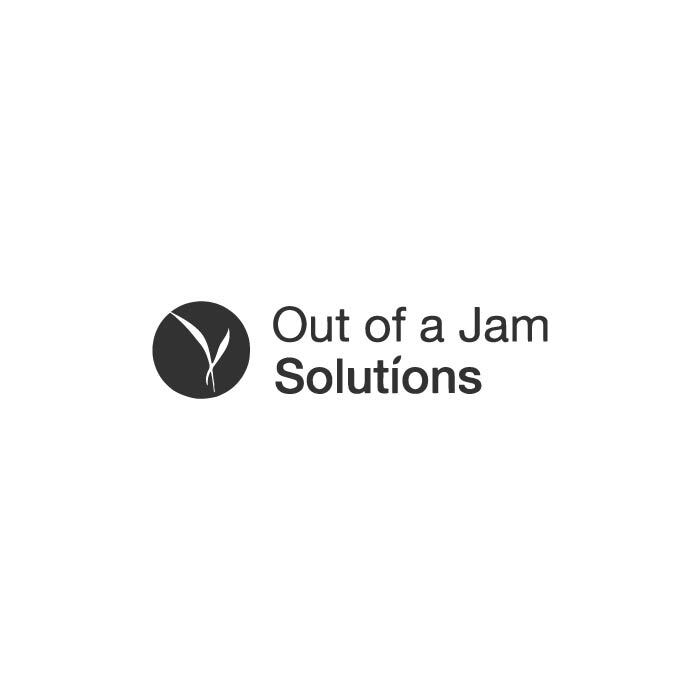 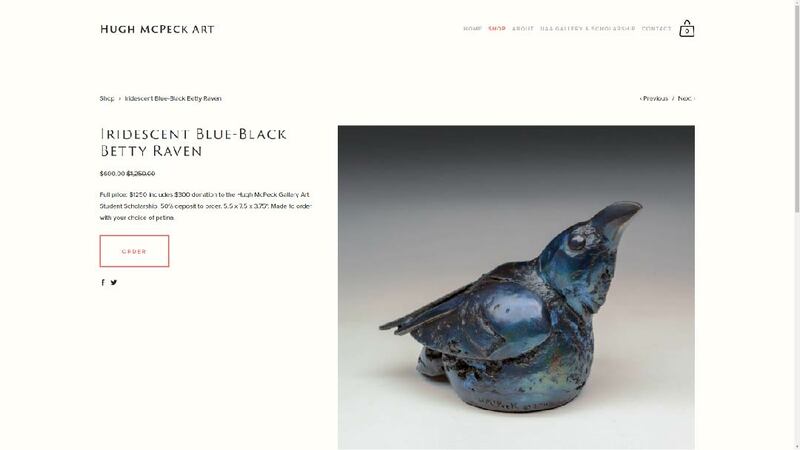 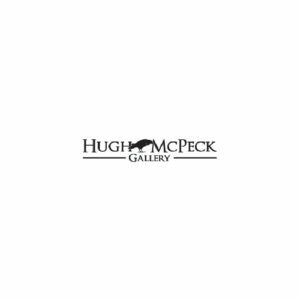 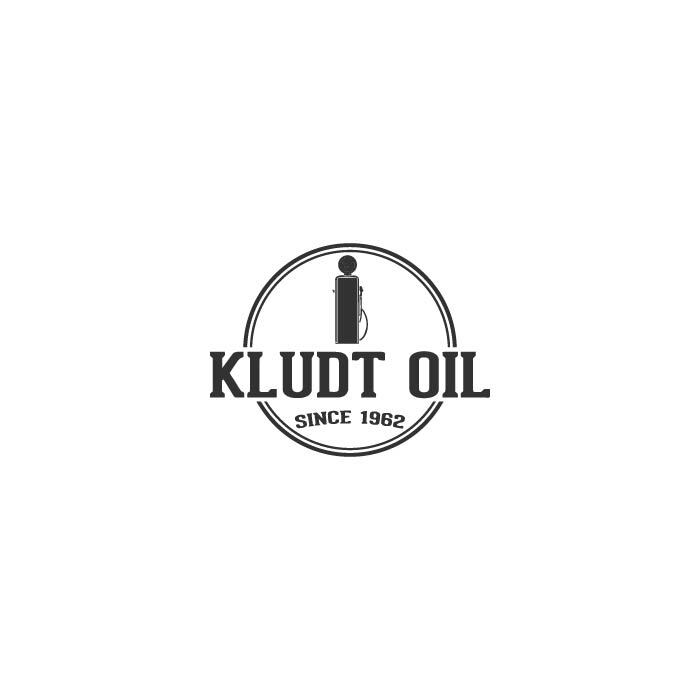 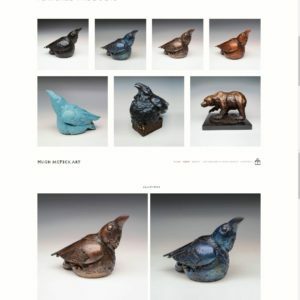 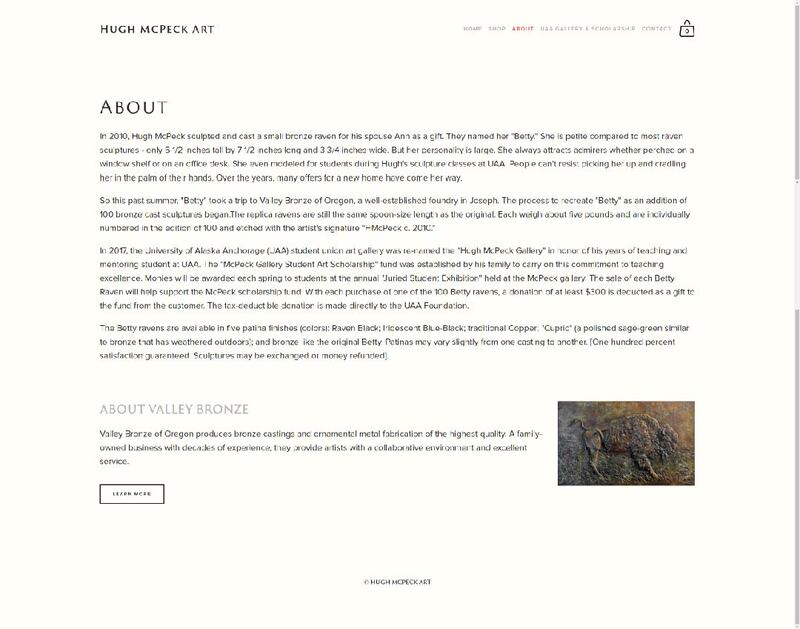 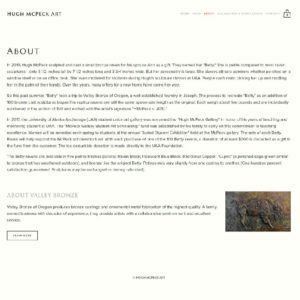 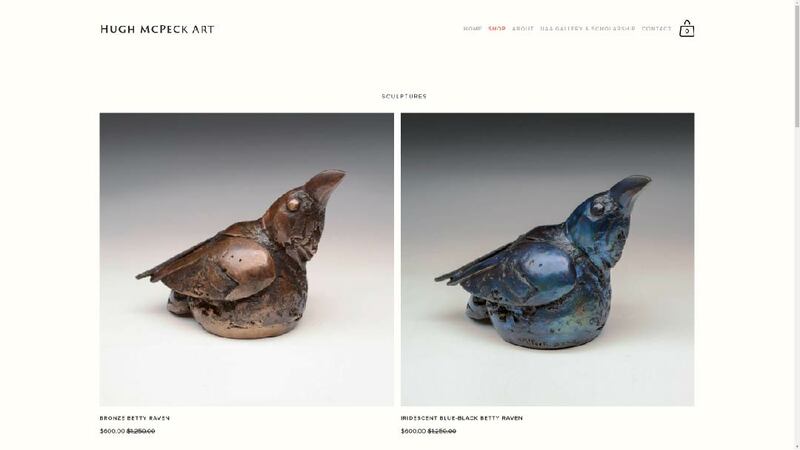 This Squarespace-based site features professional images of Hugh’s work, added color through background images of patinas, and a layout with lots of white space and easy-to-read typography. 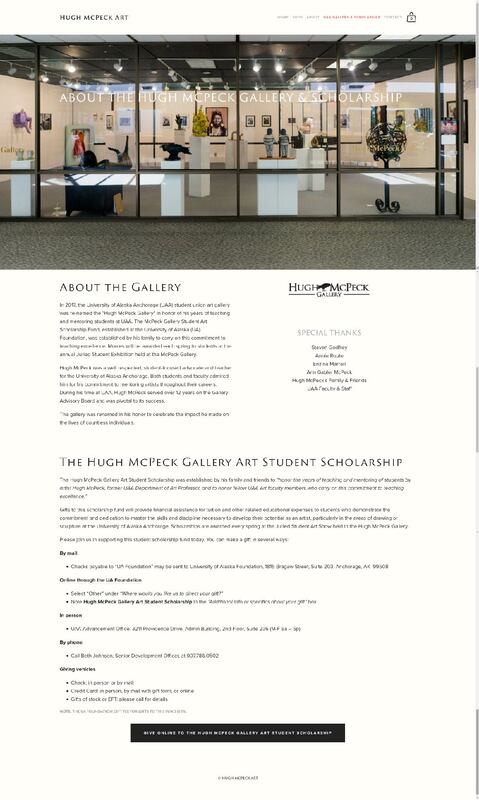 Find out more at hughmcpeckart.com and donate to the scholarship online through the UA Foundation (reference Hugh McPeck Art Student Scholarship).